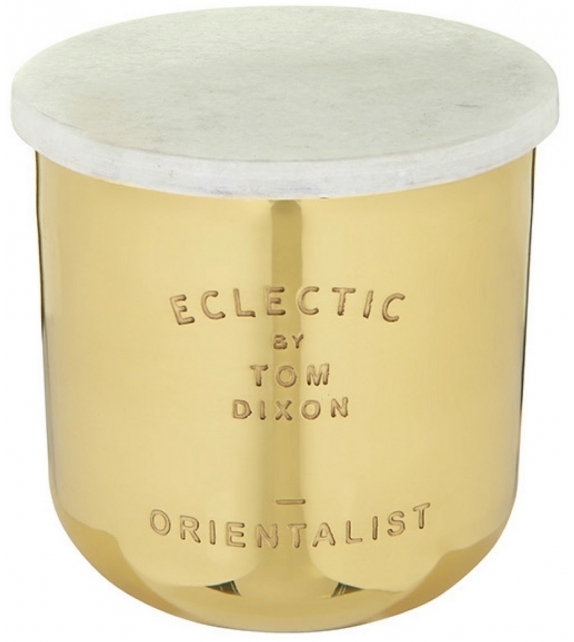 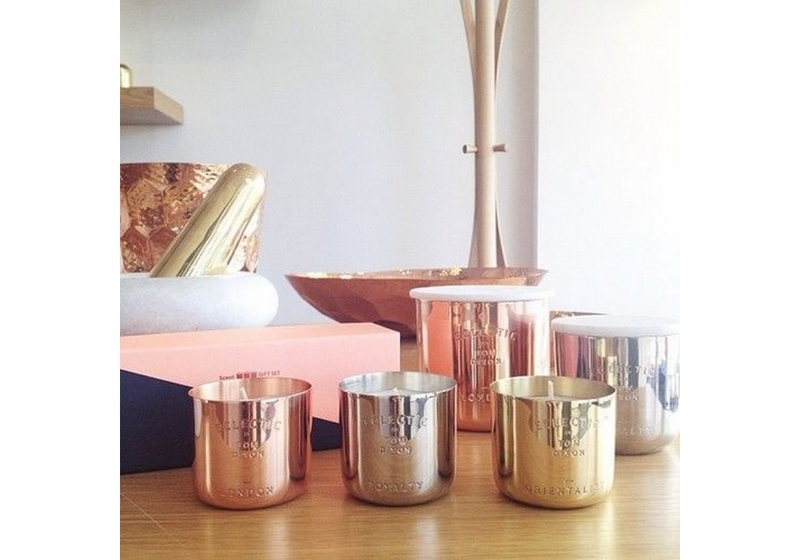 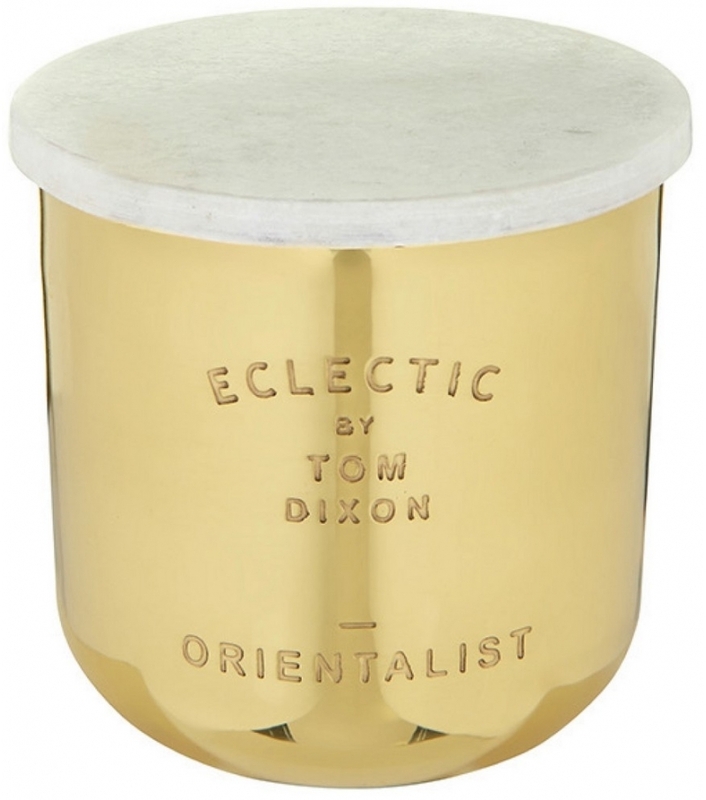 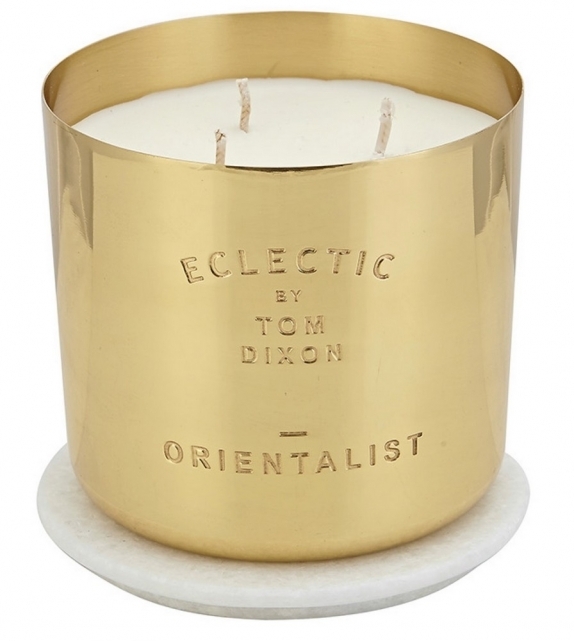 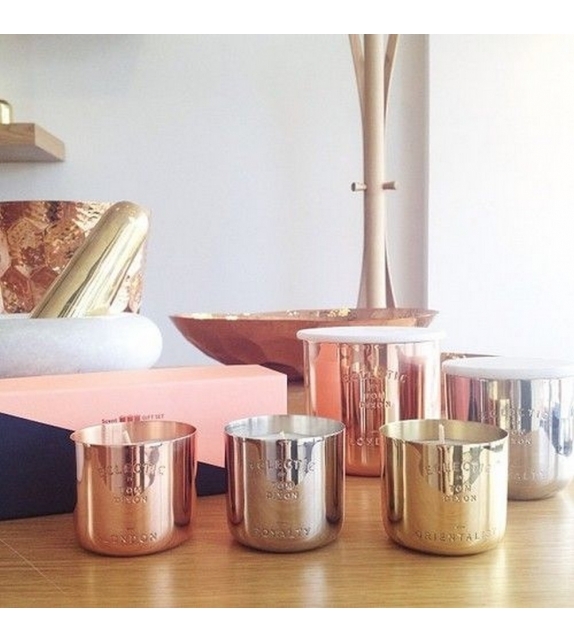 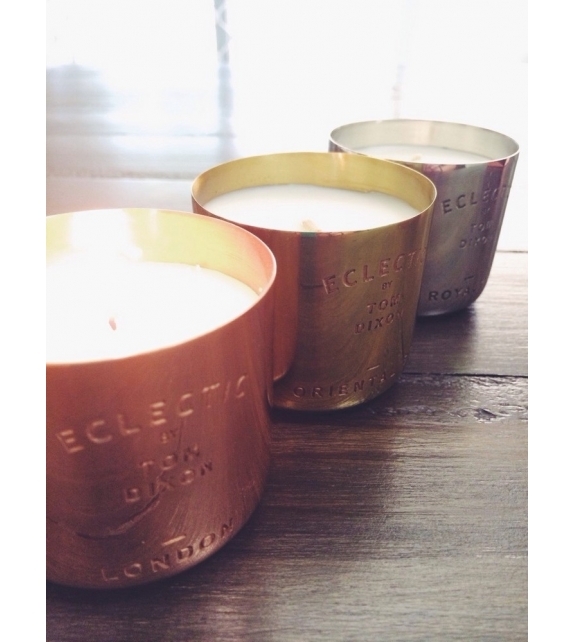 Eclectic Orientalist Candle designed by Tom Dixon. 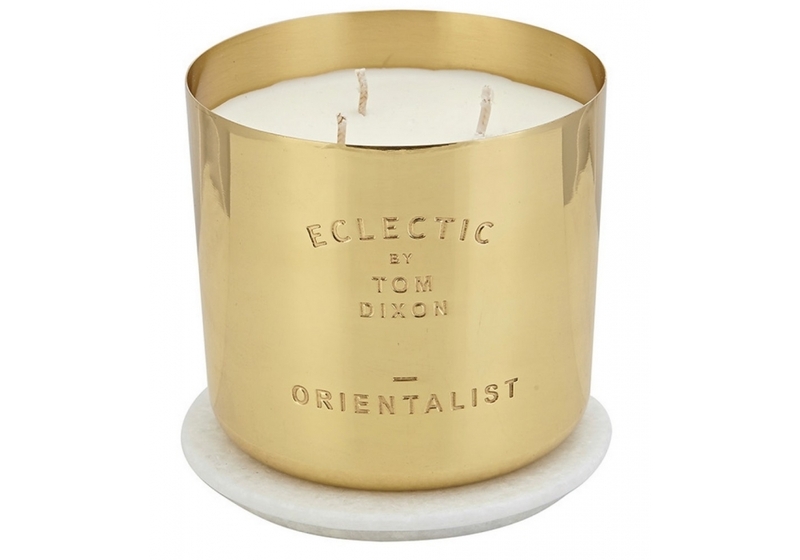 Orientalist captures the faint memory of an Indian wedding with rose petal garlands, giant cinnamon sticks on beach stalls and the musky smells of the Chinese herbal market. 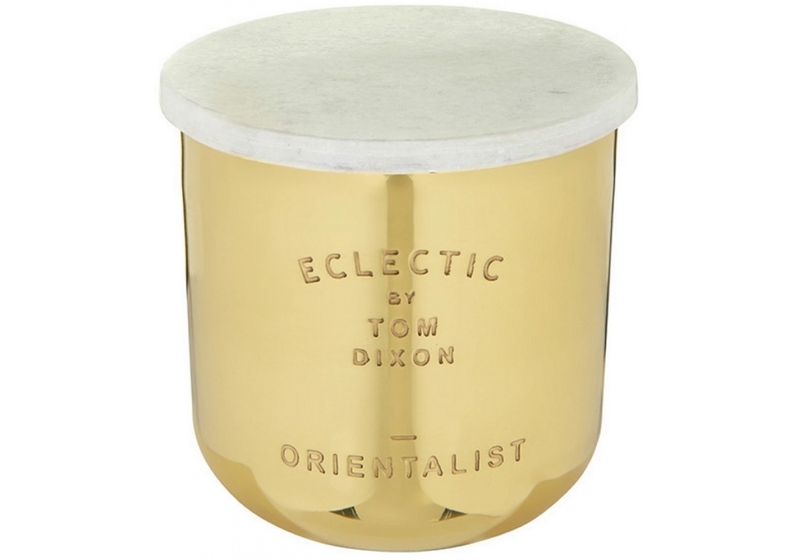 Encased in a brass hand-spun vessel with a solid Morwad marble lid. 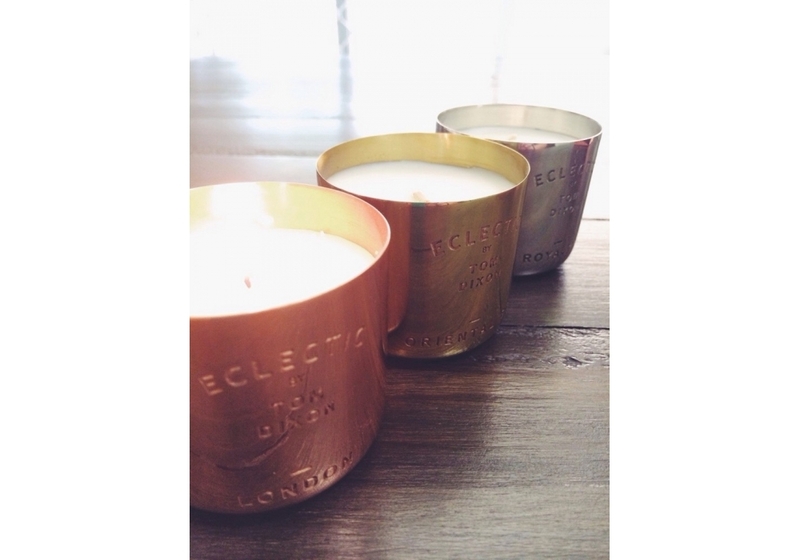 Natural soy and paraffin mix.